The market's troubles are far from over, according to one chart watcher. Stocks opened higher on Friday after what's been a tumultuous couple of weeks for the markets. Despite the reprieve, Todd Gordon of TradingAnalysis.com says investors are not out of the woods just yet. "We've seen a bounce, it's been OK, but we're starting to see some forces that cause the volatility [to] emerge," he said Thursday on CNBC's "Trading Nation." Gordon believes many of the global forces that drove the latest sell-off — the plunge in Asian markets, threats of tariffs and rising interest rates — will continue to hit U.S. stocks. 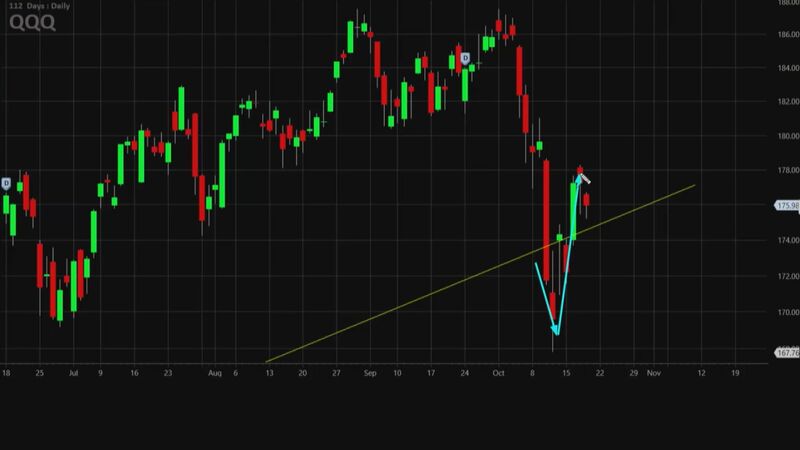 To bet on a further drop for the Nasdaq 100, Gordon observes that an uptrend in the Nasdaq 100-tracking ETF (QQQ) from 2016 is almost broken, with the Nasdaq at one point diving below the supporting trend. 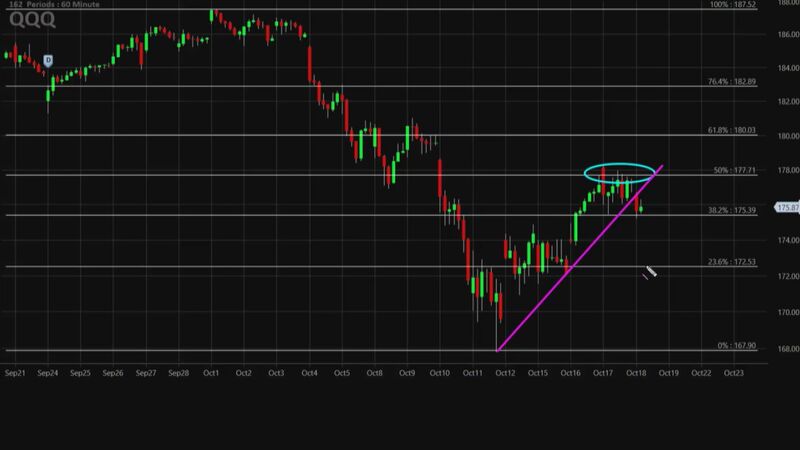 The trader believes that the QQQ could actually go back and retest the line. On an even shorter-term chart of the QQQ, Gordon notes that the ETF has actually come off its highs near $178 and fell below the trend line on Thursday. He says this suggests that the QQQ could actually reverse and retest its lows from the previous week. As a result, Gordon wants to buy the November monthly 173-strike puts and sell the November monthly 169-strike puts for $1.09, or a cost of $109 per options spread. This means that if QQQ closes above $173 on the Nov. 16 expiration, then Gordon would lose the $109 he paid for the trade. The Nasdaq 100 rallied along with the rest of the market indexes at Friday's open, with the QQQ climbing almost 1 percent.